It’s been over a year now since the new and improved version of the Modena HE boiler launched to the market. Sales continue to climb ever-upwards and the feedback we’ve been getting from installers and merchants is proof that we were justified when we claimed that the Modena is the best fit-and-forget domestic boiler on the market. We caught up with some of them recently to ask what it is about the Modena that they like and why it’s become their boiler of choice. With the ongoing issue of rising living costs and squeezed incomes, everyone is looking for products that deliver even greater value than before. Demand from homeowners for appliances that combine high performance with high energy efficiency continues to grow, but the price has got to be right. 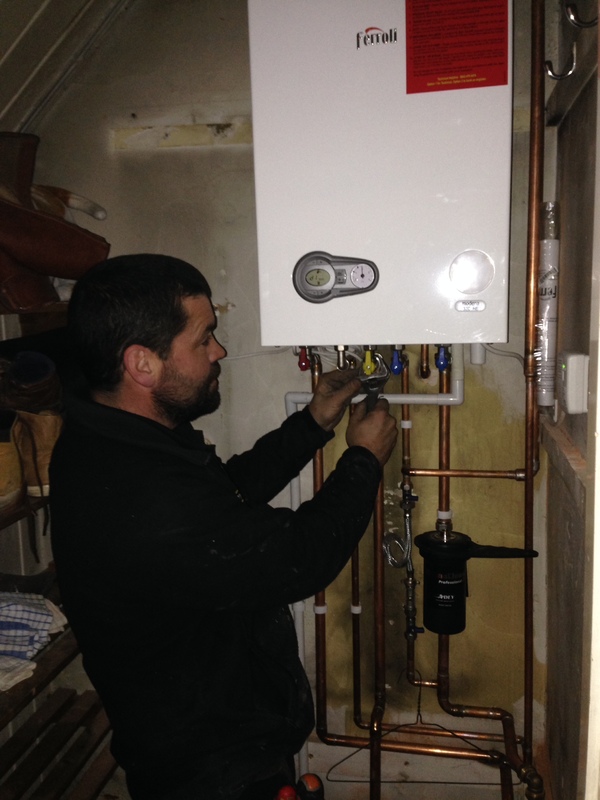 This is a demand that the new Ferroli Modena HE condensing combi boiler set out to satisfy – and the feedback so far shows it’s fulfilled its mission. “I chose the Modena 27c for this job for several reasons. First of all, it’s great value for money for a boiler of such good build quality, so that appealed to my customer. Being a landlord can be a big drain on resources as it’s essential that the property is safe and properly maintained, so choosing the most cost-effective methods is really important for them. “The Modena’s size and weight makes it very easy to install and that saves on both manpower and frayed tempers! It has good connections and comes with a very neat integral filling loop. The flexible flue options are also very useful. For this installation, the old flue position would have been a problem for us if Ferroli had not been able to offer various accessories to overcome it. “Being able to offer my customers a five year warranty on top of all the benefits that the Modena offers at such a great price means I can ensure I don’t lose the job when I quote. Everyone wants reassurance that their new boiler is not going to let them down and with a five year warranty they know that they are protected should anything go wrong. 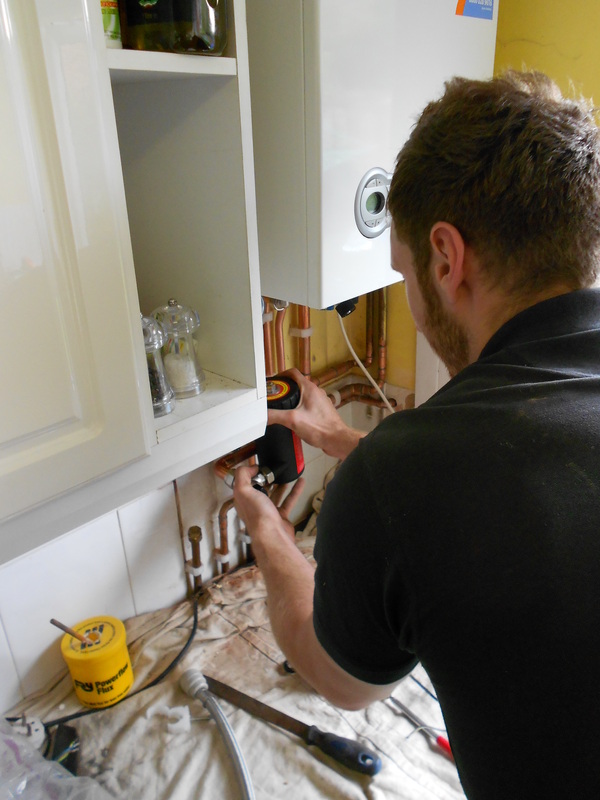 “It came as a rather nasty surprise to my customer that he had no choice but to replace his boiler immediately, so the appliance I chose for him had to be affordable as well as being highly reliable and fuel efficient. The Ferroli Modena HE 27c combi model fitted the application perfectly and because it comes with a choice of a 5 or 2 year full parts and labour warranty that offered peace of mind for us both. “The Modena is a fantastic bit of kit. I really like the simplicity of it. Firstly, fitting it was easy and straightforward. 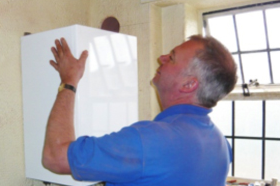 No-one wants to struggle with a heavy boiler or try their patience with fiddly screws and brackets, especially in confined spaces such as an airing cupboard. “It is very light, just 29kg, so handling it was no trouble, and the fact that there are 10 bracket points on the back for hanging it on the wall means it’s going to be securely fixed. If you’ve only got two brackets and you find you’re screwing into plasterboard you’ve got a problem but with a choice of several places you can move along and find a firmer timber area that will hold the screws. “I was very impressed by the simplicity of the Modena,” said Iain. “Firstly, it’s so lightweight that it’s very easy to handle and only requires one pair of hands; the front panel is very well designed, just two screws to undo and it easily comes off with no risk of causing any damage; and the compact size means the valves underneath are easily accessible. 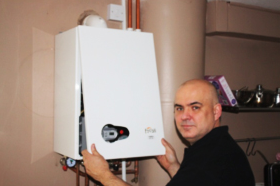 “What I’m looking for in a new boiler are features that make it easier for me to provide my customers with a superior product. The Modena’s stainless steel heat exchanger is an ideal example as this eliminates a lot of problems that can arise with heat exchangers and it allows for a proper power flush to be carried out without the risk of causing any knock-on glitches. 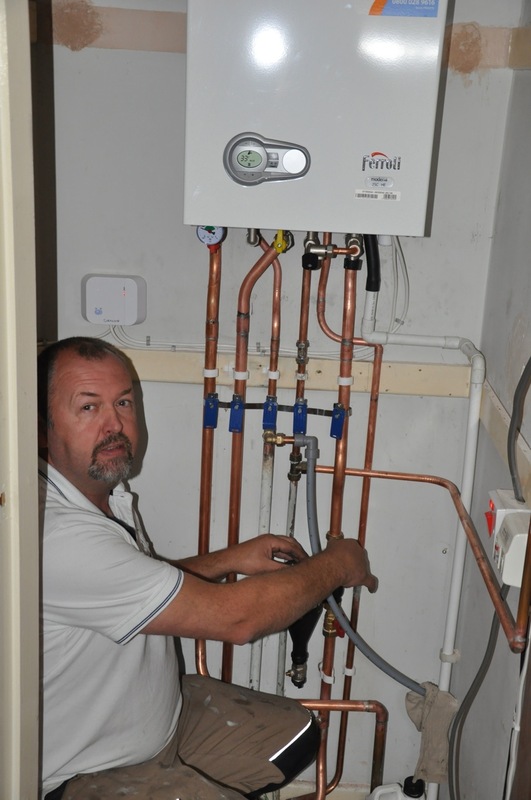 “As for performance, the hot water flow rates are superb and even exceed the rates specified. I’m looking forward to the launch of the 38c model as I’m seeing increasing demand from households for higher hot water flow rates. As for operating noise levels, it’s barely audible.